Sony Pictures annonce pour le 6 novembre 2018, le film Air Force One en format 4K Ultra HD. Réalisé par Wolfgang Petersen, il met en vedette Harrison Ford, Gary Oldman, Glenn Close, Wendy Crewson, Xander Berkeley, William H. Macy et Dean Stockwell. Après avoir semé le trouble au Kazakhstan, le général Alexander Radek est capturé par un commando russo-américain et jeté en prison. Trois semaines après, le Président américain John Marshall reçoit un accueil triomphal à Moscou et lance une solennelle déclaration de guerre au terrorisme. Alors qu’il rentre à Washington à bord de l’Air Force One en compagnie de sa femme, de sa fille et de son cabinet, des terroristes investissent l’appareil et séquestrent les passagers. TORONTO, Ontario (November 5, 2018) – An edge-of-your-seat action classic and one of the highest grossing films of 1997, AIR FORCE ONE debuts on 4K Ultra HD and on digital in 4K November 6 from Sony Pictures Home Entertainment Canada. Legendary action hero Harrison Ford stars as the President of the United States, who fights to save his family and the hostages aboard Air Force One when communist radicals led by Academy Award® winner Gary Oldman (Best Actor, Darkest Hour, 2017) hijack the plane. Directed by Wolfgang Petersen (In The Line of Fire), AIR FORCE ONE also stars Wendy Crewson, Paul Guilfoyle, William H. Macy, Liesel Matthews and Dean Stockwell. Fully restored in 4K from the original camera negative, the 4K Ultra HD disc release of AIR FORCE ONE features High Dynamic Range with exclusive Dolby Atmos audio. The fate of the nation rests on the courage of one man. Harrison Ford and Gary Oldman star in two-time Oscar® nominee Wolfgang Petersen’s (Best Director & Best Writing, Screenplay Based on Material from Another Medium, Das Boot, 1981) gripping thriller about an uncompromising U.S. President who has just told the world he will not negotiate with terrorists. When Russian neo-nationalists hijack Air Force One, the world’s most secure and extraordinary aircraft, the President is faced with a nearly impossible decision to give in to terrorist demands or sacrifice not only the country’s dignity, but the lives of his wife and daughter. 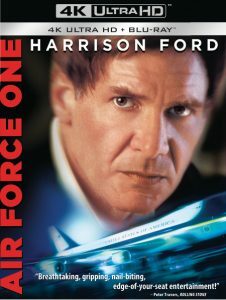 AIR FORCE ONE is directed by Wolfgang Petersen and written by Andrew W. Marlowe. Produced by Armyan Bernstein, Wolfgang Petersen, Gail Katz and Jon Shestack, the film is Executive Produced by Thomas Bliss, Marc Abraham and David Lester. 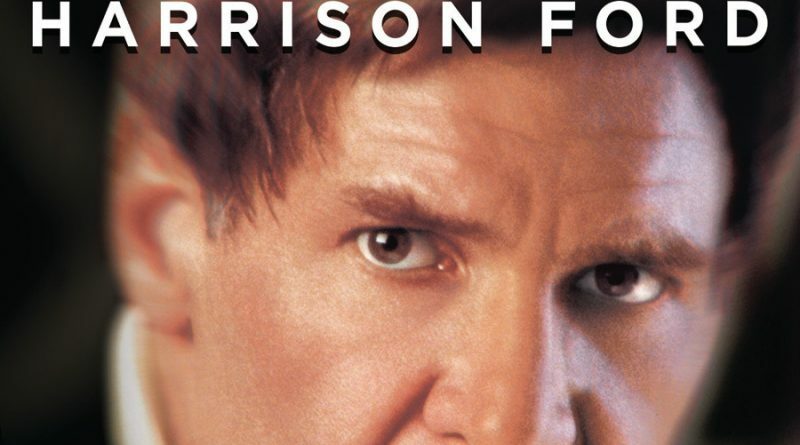 AIR FORCE ONE has a run time of approximately 124 minutes and is rated 14A.